Full name, date of birth: Isabaev Madi Sansyzbaevich, September 19, 1994 year of birth. Work experience: the general experience is 1 year, the scientific and pedagogical experience is 9 months. Position: Assistant Lecturer of the Department “Transport Engineering and Logistics Systems”. 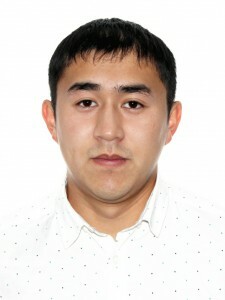 What university, for what specialty and when he graduated from: Karaganda State Technical University, “Organization of transport, traffic and transport operation” in 2015. (Undergraduate). “Organization of transport, traffic and transport operation” in 2017. (Master). 2017 to the present – Assistant Lecturer of the Department “Transport Engineering and Logistics Systems”. Items read in the school year: Logistics of urban transport systems, Organization of road transport, Organization and safety of traffic, Fundamentals of the theory of automatic control, Car service and company service, Methods and means of traffic control, Insurance and evaluation. Further training: January 2018-February 2018, “Center for Assistance to Victims of Destructive Religious Trends”. From February 26 to March 20, 2018, he completed advanced training courses on the topic: “Innovative Education: Essence, Functions, Features” for 72 hours.